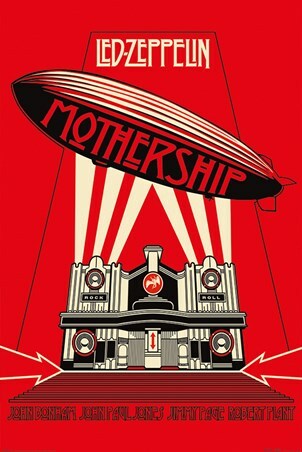 Calling the likes of Jones, Page, Plant and Bonham home, the iconic 'Mothership' hovers over the beaming lights of the grand building below. 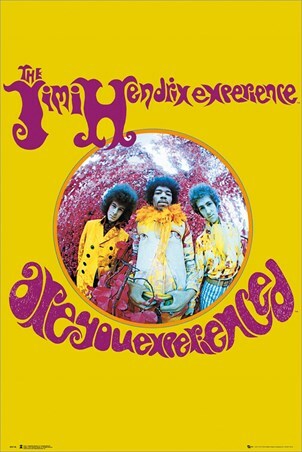 Released in 2007 this greatest hits album includes 44 rock n roll classics from the legendary English Rock Band, Led Zeppelin, and is sure to be in the collection of the most avid fanatic! 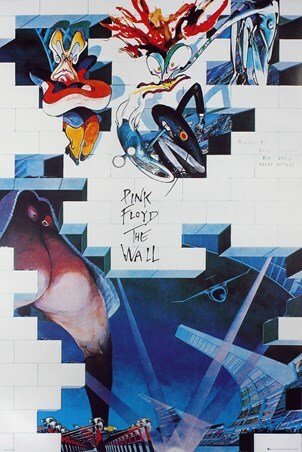 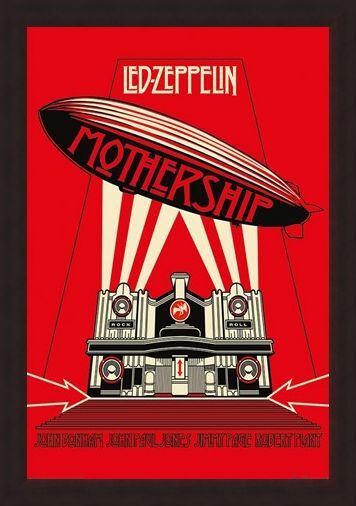 So if this sublime album is on repeat in your home then what better way to show your appreciation to the gods of rock, then with this magnificent Led Zep poster! 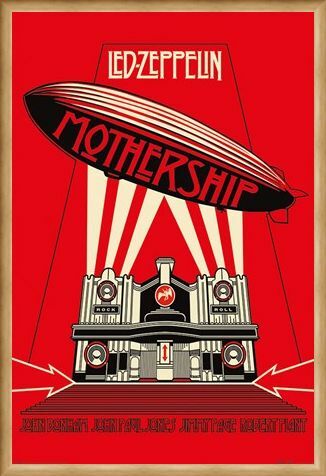 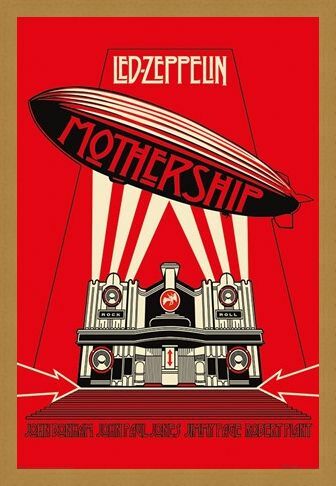 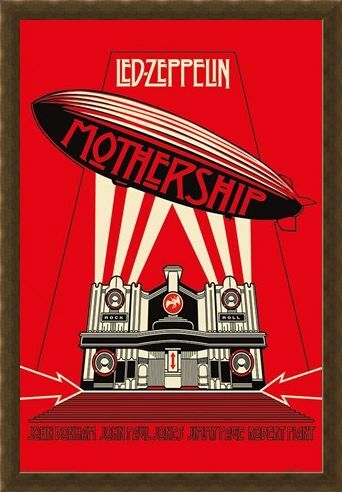 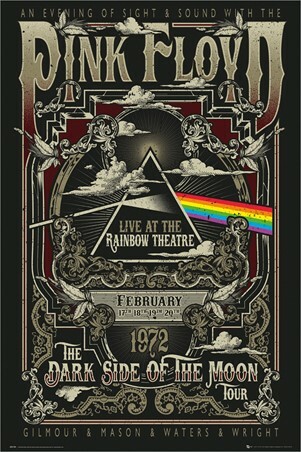 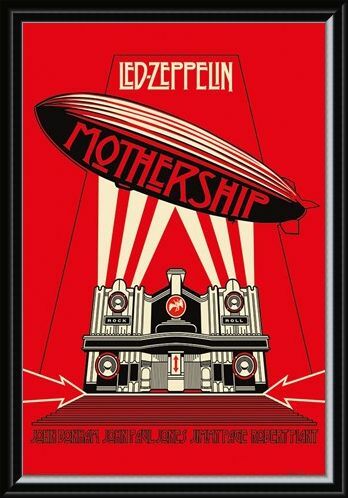 High quality, framed Mothership, Led Zeppelin poster with a bespoke frame by our custom framing service.